Newcastle upon Tyne Hospitals NHS Foundation Trust is the national lead for haemostats and has worked with NHS Supply Chain to review the cost and quality of those it buys. The haemostats which were switched were the oxidised cellulose haemostatic fabric products. An average price saving of 65 per cent while maintaining high quality care was achieved, with this recommendation also driving savings in other trusts across the country. The Trust’s procurement and supplies team continue to lead the North East and became the first in the region to achieve NHS Standards of Procurement Level Two accreditation. 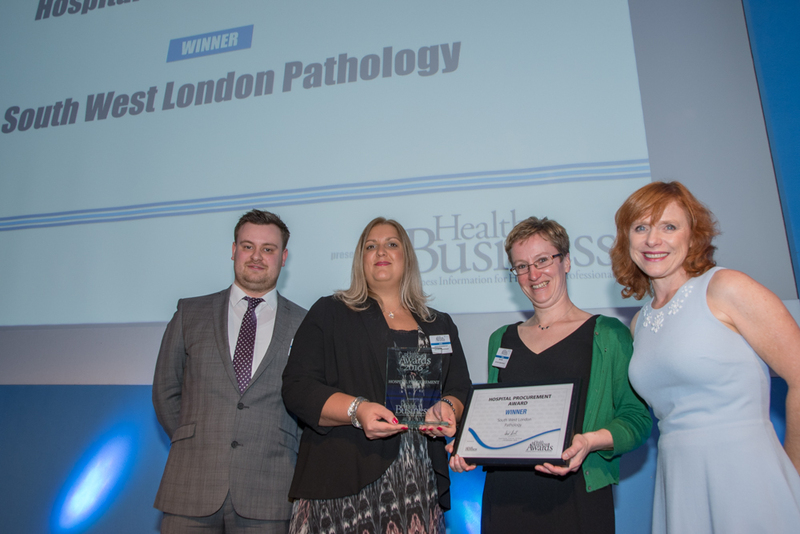 Through the joint venture that is South West London Pathology (SWLP), three trusts (Croydon Health Services NHS Trust, Kingston Hospital NHS Foundation Trust, and St George’s University Hospitals NHS Foundation Trust) have delivered a single, integrated, NHS-led pathology service which caters for 3.5 million people. An efficient procurement strategy has been the key enabler in creating an integrated pathology service across SWLP’s partner sites. Its 35-strong procurement team conducted rigorous assessments of potential partners, with each evaluation session took up to three days to complete. As a result of the time spent developing each partner agreement, the resulting contracts are air-tight, in turn minimising any risk to SWLP. This years' winning project has delivered huge financial benefits, well in excess of the government's targets for PFI reviews. It focused on developing professional commercial skills and knowledge, and it has resulted in a 12 per cent annual saving on Soft Facilities Management services alone.